ROAD TOWN, Tortola, VI – Radio commentator and talk show host Edmund G. Maduro believes it is time that the territory puts a halt to land speculation which he believes sends prices of land out of reach of the average Virgin Islander and benefits the rich. He was speaking on Thursday night July 9, 2015 on his EGM Show aired on ZROD 103.7 FM during which he dealt with a number of topical issues. “These people, millionaires and coming from all over and buying our lands…our islands…and not only are they buying all the lands but they are trying to stop us from exercising our inalienable rights such as catching a fish and our elected representatives are not doing one thing to put these people in place or bring them in order,” he said. “There is a lot of speculation that is going on in the Virgin Islands and I’ll explain to you why,” he said. “A speculator would come in and he would buy a piece of land whether it is 100 acres or 50 acres from a British Virgin Islander for $2,000 just to call a figure. But as soon as he gets it he will turn around and sell that same piece of land for $1 million an acre,” he said. “I am saying my people that this is a serious abuse that the United Party had fought against and was seriously considering putting in place what would have been called a land bank for the purpose of protecting BVIslanders from losing their property in the way they lose it,” said Maduro. “The present Government don’t give two hoots…they don’t care what happen to your land as long as they get their pockets full. They want their white friends and their ‘this’ friends and ‘that’ friends, because they know when they please their friends they get their pockets full,” said Maduro. He said that with the land bank, if a person lost their land the government would not have sold it to expatriate strangers unless they had become residents and belongers of the territory. “The [land bank] would have sold that land right back to the people of the British Virgin Islands and this would have stopped a lot of the speculation that is going on,” he said. This is not the first time that Maduro has dealt with the issue of land speculation and the valuation of land owned by locals as opposed to that held by foreigners. 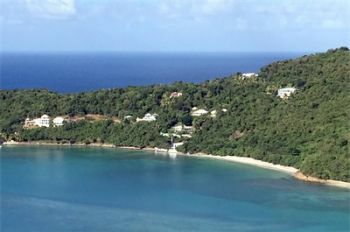 Where are these British Virgin Islanders who are selling off land at $1,000 per acre. I wants some of that for me. Spill the beanz Ed. Edmond it was your United party under CB Romney that introduce and brought real estate company into the BVI. Who`s make function were to make huge profits off of the selling and re-selling of lands and houses.. Then VIP came after did nothing about it. Wait so a man who owns a car decides to sell it because he has two others, sells it for $1000.00 the person who buys the vehicle sprays if and sells it for 20 000.00 can the owner of his neighbours be vex? Same with the Land, island people and outsiders cannot sell the land, if a Virgin island sells his land to a rich white man who then sells it for 50 times more why are you mad. To all the money loving grabbing virgin islanders, you cannot have the land and the money so its one or the other if you sell it move on, you already get paid already. Edmond you people continue to show your ignorance daily, if you sell the land what a man does with it is his business, if you do not want to lose access to the beaches or whatever don sell the land plain and simple move on keep your land and the people will keep their money!!! Edmun d, it is a personal decision,a freedom of choiceness made by a landowner to sell or not. The problem,if there is one is that he /she sells for very little compared to the real value. They need to be educated and the local who issues appraisals at a fractional worth when owned by a local ,is a worse offender. The real rip off comes from within families. Rightful owners are denied access to ownership. Rightful owners sometimes live hand to mouth for a lifetime,their children And grand children grow up with no ownership and bond with the land..These descendants lives are often made where for them,the living is easier and happier. When the land finally is settled,a bitter taste oft times remains and getting rid of the land is like casting off a painful load of memories and the sooner the better. All in all the land is cheapened and its reverence and significance downgraded and eventually lost. Within these splintered families,greed resentment and evil has contributed to the loss of local land ownership. Edmond living in the past. Belongers do not sell land for those prices anymore. One Belonger ask me for $80,00 for 1/3 of an acre that will require a $200,000 retaining wall. Another belonger ask for $100,000 for 1/2 acre while another was asking $110, 000 for less than 1/2 acre. these are the present going rate. So it is belongers who are pushing the price out of the reach of the young ones. The case Edmond is talking about happen years ago. But Edmond as usual lives in the past for the past. It is the real estate companies driving up the price of land by adding their commission fee! Look at who is in here, Sotheby's, Cristie's, Coldwell Banker, ReMax. Let's not talk about the unfair appraisals based on whether you are local vs. being white; even if properties are in the same area with same view, landscaping and amenities. If Mr. Maduro have any white friends, then maybe just maybe he should think before he speak, for an older gentleman he needs to think before he talk, our young people need direction try to be an example to them, have you forgotten about times gone by, we in another time frame and need to realize this, our youths need direction please try to work with people who are trying to make it better, it is not about ourselves but our country and children. Please look around you our children are dying while we just looking talking nonsense. Wake up people. How can it possibly make sense to give overseas companies a competitive edge over BVI owned businesses.